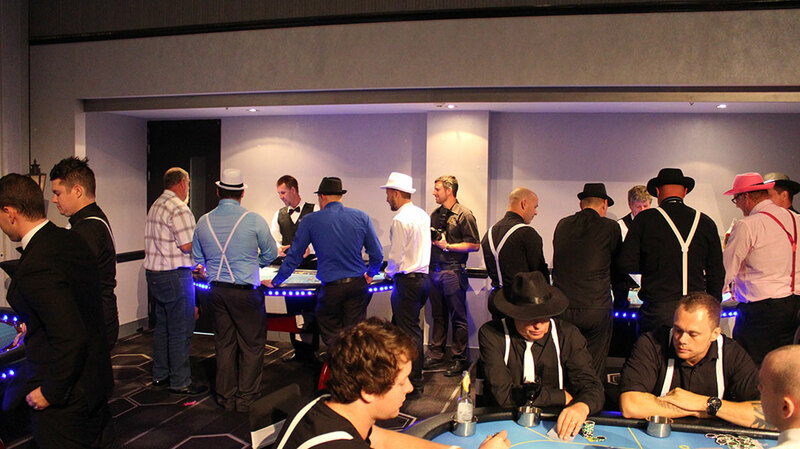 10 table fun casino event at Twin Waters Novatel, Sunshine Coast. We don’t have a casino on the Sunshine Coast yet, but we can enjoy the fun and atmosphere of the casino by having a casino party. Here on the Sunshine Coast, we have our very own Fun Casino business called “Wild Diamonds Fun Casino”. Wild Diamonds Fun Casino is owned by long time Sunshine Coast locals, Lucy & Ian Hazzard of Kawana Island. It is the only Fun Casino business located and operated on the Sunshine Coast, in fact the nearest business of similar quality is located on the Gold Coast. Casino Roulette wheel and game in action. One of the most exciting games in the casino. any time where there is a gathering of people who need to be entertained. Bring Las Vegas to your next event. Casino tables and dancing girls make it as real as possible. A Fun Casino is a form of party entertainment which is able to ensure participation of all guests at a function for the full duration of the event. Unlike many other forms of entertainment, Casino tables offer excitement for the whole time to all guests. If you have a photo booth or a karaoke machine, there is only one or two people who can use it at once, and then it is only for a few minutes. Casino tables have dealers dealing to you and you can play for a nominated amount of time (usually 3-4 hours). At the end of the playing time, remaining chips are collected and a trophy is awarded to the winner of the night. 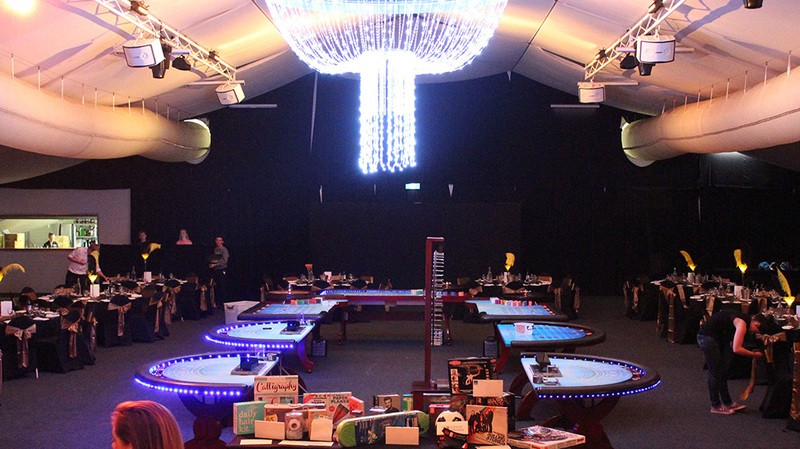 1920s dinner casino at caloundra RSL, themed events are very popular on the Sunshine Coast. We need to stress that there is no real money at Fun Casino events, the money is pre printed specially for the event and each person gets a nominated amount, usually $2000.00 to start with. The games offered by Wild Diamonds fun Casino are Roulette, Blackjack, Money Wheel & Poker. The tables are real tables with real chips and all other equipment such as red carpet and bollards being of exceptionally high quality. 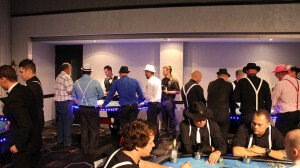 Our dealers are real dealers who are all local Sunshine Coast residents who have worked in a real casino’s in the past. We can assure you that when you hire Wild Diamonds Fun Casino, you are getting the “Real Deal”, not a cheap imitation company using trestle tables and toy plastic chips and equipment. So don’t gamble on the success of your next event, for a Diamond Class Event give Lucy at Wild Diamonds Fun Casino a call.